Below you fill find all funeral homes and cemeteries in or near Hurricane. Hurricane is also known as: Putnam County / Hurricane city. Their current mayor is Mayor Scott Edwards. Zip codes in the city: 25526. Some of the notable people born here have been: Steve Dunlap (american football player and coach), and Doc Holliday (american football player and coach). Hurricane /ˈhɜrɨkɪn/ is a city in Putnam County, West Virginia, in the United States. The population was 6,284 at the 2010 census.Hurricane is a part of the Huntington-Ashland, WV-KY-OH, Metropolitan Statistical Area (MSA). As of the 2010 census, the MSA had a population of 287,702. New definitions from February 28, 2013 placed the population at 363,000. It was noted on March 22nd, 2019 that Lucy Mahone (Jenkins) died in Hurricane, West Virginia. Ms. Mahone was 98 years old. Send flowers to express your sorrow and honor Lucy's life. It was noted by Bluefield Daily Telegraph on February 27th, 2019 that Dale Vernon Holsopple passed on in Hurricane, West Virginia. Holsopple was 90 years old and was born in Flinton, PA. Send flowers to express your sorrow and honor Dale Vernon's life. It was noted on November 9th, 2018 that Dennis Michael "Mike" Mooney perished in Hurricane, West Virginia. Mooney was 82 years old. Send flowers to express your sorrow and honor Dennis Michael "Mike"'s life. It was noted on June 26th, 2018 that Frances Lucille Nunnally (Cooper) died in Hurricane, West Virginia. Ms. Nunnally was 85 years old and was born in Reidsville, NC. Send flowers to express your sorrow and honor Frances Lucille's life. It was revealed by Register Herald on June 15th, 2018 that Evo Aaron Baker passed on in Hurricane, West Virginia. Baker was 38 years old. Send flowers to express your sympathy and honor Evo Aaron's life. It was written by Bluefield Daily Telegraph on March 16th, 2018 that Norma Sue Holsopple (McClung) passed on in Hurricane, West Virginia. Ms. Holsopple was 87 years old. Send flowers to express your sorrow and honor Norma Sue's life. It was noted by Register Herald on January 13th, 2018 that Thomas Anthony Salango passed away in Hurricane, West Virginia. Salango was 72 years old. Send flowers to express your sympathy and honor Thomas Anthony's life. It was reported on August 23rd, 2017 that David Earl Marsh perished in Hurricane, West Virginia. Marsh was 73 years old and was born in Newport, KY. Send flowers to share your condolences and honor David Earl's life. It was disclosed by Register Herald on August 6th, 2017 that Charles Davis Lawson passed on in Hurricane, West Virginia. Lawson was 73 years old. Send flowers to express your sorrow and honor Charles Davis's life. It was revealed on October 22nd, 2016 that Halley H Hamrick passed on in Hurricane, West Virginia. Hamrick was 77 years old. Send flowers to express your sorrow and honor Halley H's life. The winning ticketholder was Jack Whittaker (lottery winner) Whittaker. The town primarily consisted of a small inn. 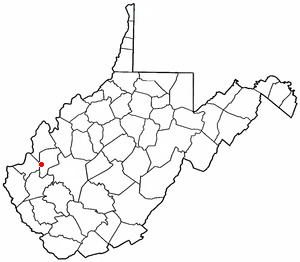 The town can be traced back to an 1811 Virginia map. In 2002, a winning multi-state Powerball ticket was sold at a supermarket in Hurricane. It is interesting to note that less than 17 miles south-east of Hurricane is a small village named Tornado, West Virginia A town named Hurricane Bridge was located where West Virginia Route 34 now crosses the creek, near current-day Hurricane. The official website for the city of Hurricane is http://www.hurricanewv.com/. Funeral services 1 p.m. Thursday, November 4, 2010, at Allen Funeral Home with the Rev. Mark Hesson officiating. Visitation will be one hour prior to the service. Burial will follow at Mt. Morriah Cemetery, Turkey Creek Hurricane, WV. Listing all funeral homes in Hurricane, West Virginia so you can easily send flowers to any location (same day delivery) or find any funeral service. funerals in Hurricane, WV 25526 on Yahoo! Local Get Ratings & Reviews on funerals with Photos, Maps, Driving Directions and more. Chapman Funeral Home, Hurricane, WV : Reviews and maps - Yahoo! Local, 304.757.7531. Get Ratings, Reviews, Photos and more on Yahoo! Local. We work with local florists and flower shops to offer same day delivery. You will find budget sympathy flowers in Hurricane here. Our funeral flowers are cheap in price but not in value.